At Cascade Oral and Facial Surgery, helping to heal the injured and the sick remains our primary focus. 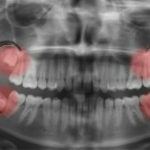 When you schedule an appointment with our oral surgeon in Lake Grove and Lake Oswego, Dr. Philip Mann, for wisdom teeth removal, jaw surgery, dental implant placement, bone grafting, or other surgical procedures, you can feel confident knowing that the treatment and care you receive ranks as some of the latest and most advanced possible. As an Assistant Professor and Director of the Resident Implant Program at OHSU, Dr. Mann believes in the value of continuing education and staying at the forefront of the latest advances in oral surgery, dental implants and facial reconstruction. Our oral surgery practice is only as good as the results it provides our patients. That's why you can always feel confident knowing that the comfort and care you receive at our Lake Oswego oral surgery practice will always meet your needs and exceed your expectations. If you're searching for an "oral surgeon near me", then let the experienced team at Cascade Oral and Facial Surgery help set you on the road to recovery. Contact our office today to schedule your oral and facial surgery consultation with Dr. Mann and start to see the possibilities of a healthier, better looking you.